Corn flakes (breakfast cereals) machinery/ make machinery/production line/processing line could produce such as ring, grain or flake shape.The whole production is done at one stream under full automatically worLD. 2.Fast and nourishing food with given structure,such as granule shape,flake shape and animal shape. 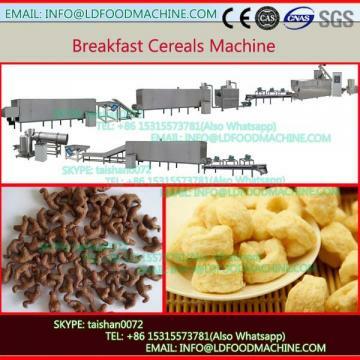 4.This line can be used to produce corn flakes, breakfast cereals, snacks by adjusting the dies of extruder.